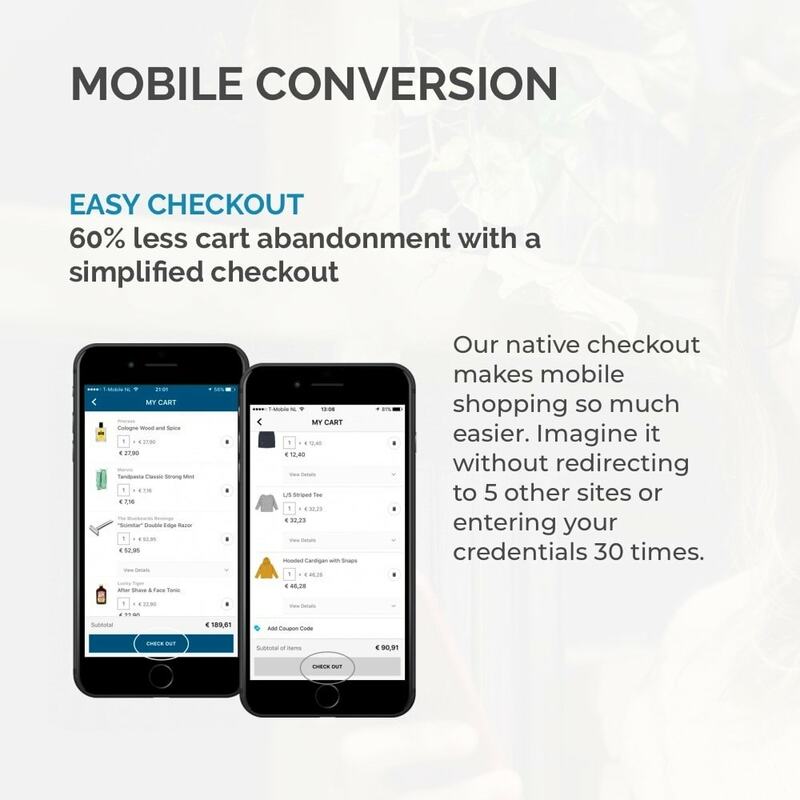 Offer your customers the best mobile shopping experience with a native shopping app for iOS & Android integrated with your prestashop webshop. Our powerful plugin integrates with your shop, fetching all of your content, store configurations & product data. Your shopping app will therefore always be in line with your webshop. 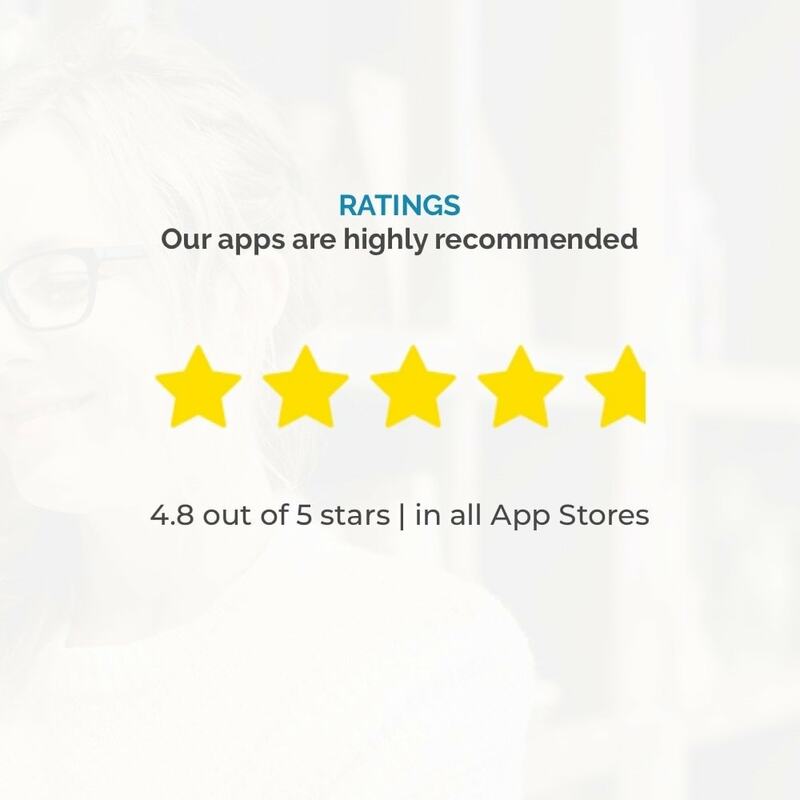 Your mobile customers will love using your app. Why? 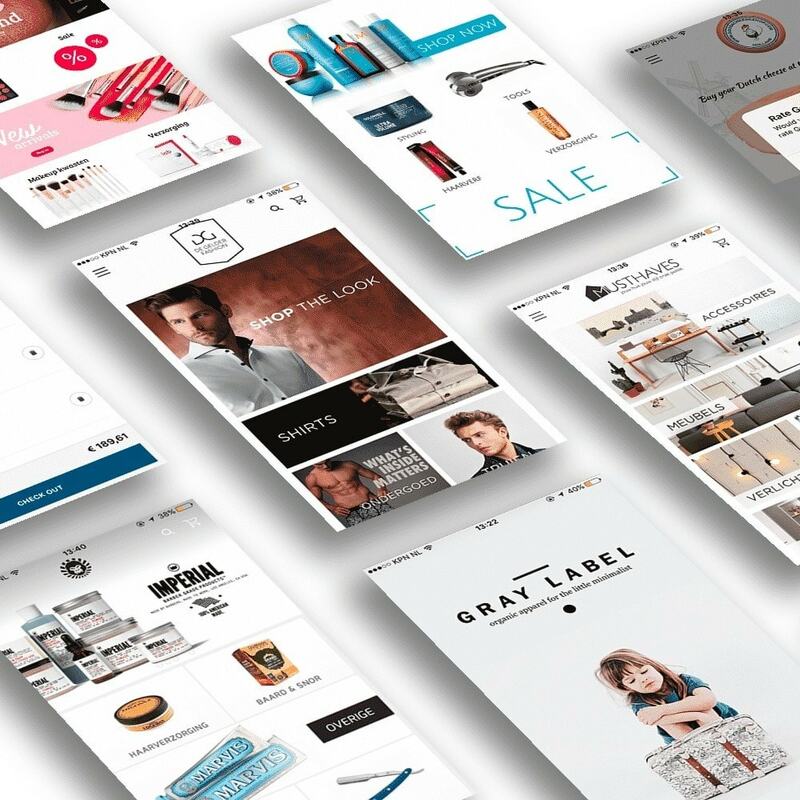 Your shopping app is developed with your mobile customer in mind and our experience based on working with hundreds of customers around the globe. We therefore offer a 4.8 out of 5 star rated, best in class shopping experience. You will see an immediate increase in conversion and also retention rates. Just imagine: fast loading & browsing, easy navigation, secured checkouts, smooth product info and a whole lot more. 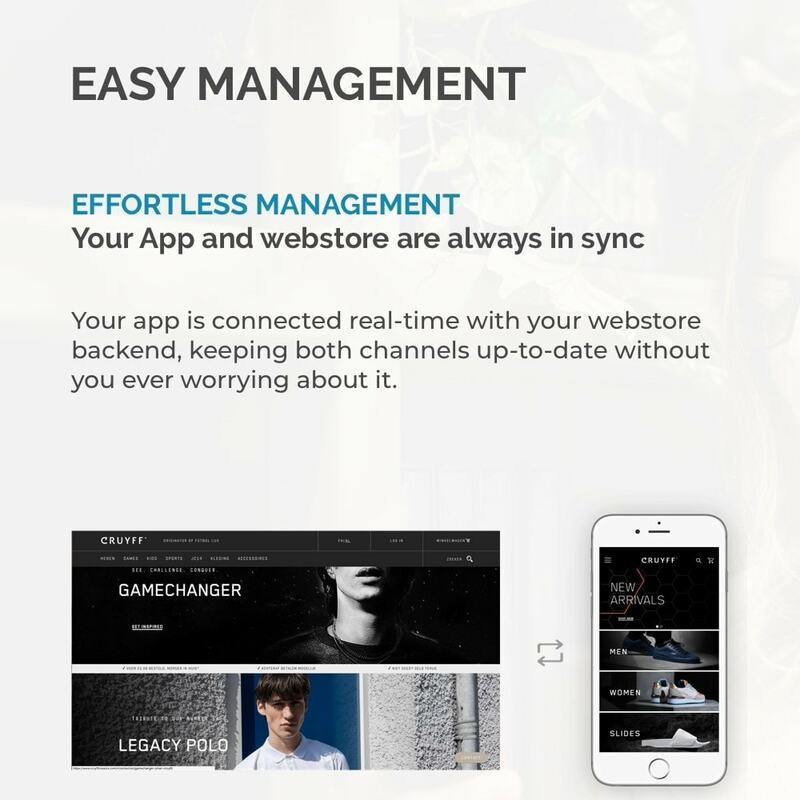 Our platform allows you to change the look and feel of your app as much as you want with our simple drag & drop functionality. Interested in your mobile orders or users? 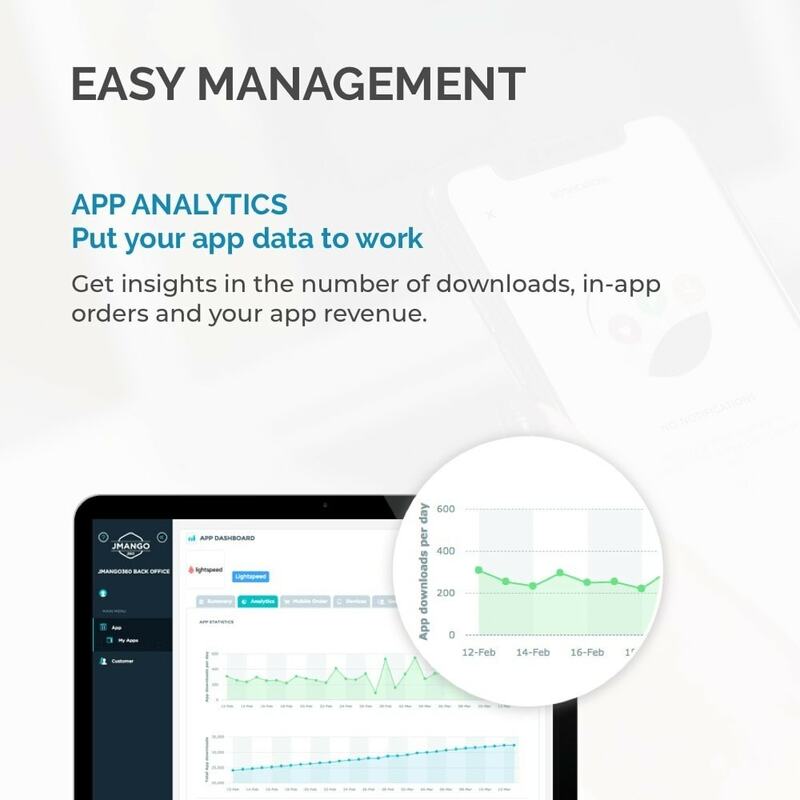 Use the built-in app analytics dashboards. And of course, we are happy to share our vast knowledge on how to make your app a success. No need to make a big investment up front. What you see is what you’ll get. We will provide you with the platform to create and manage an app as long as you would like. 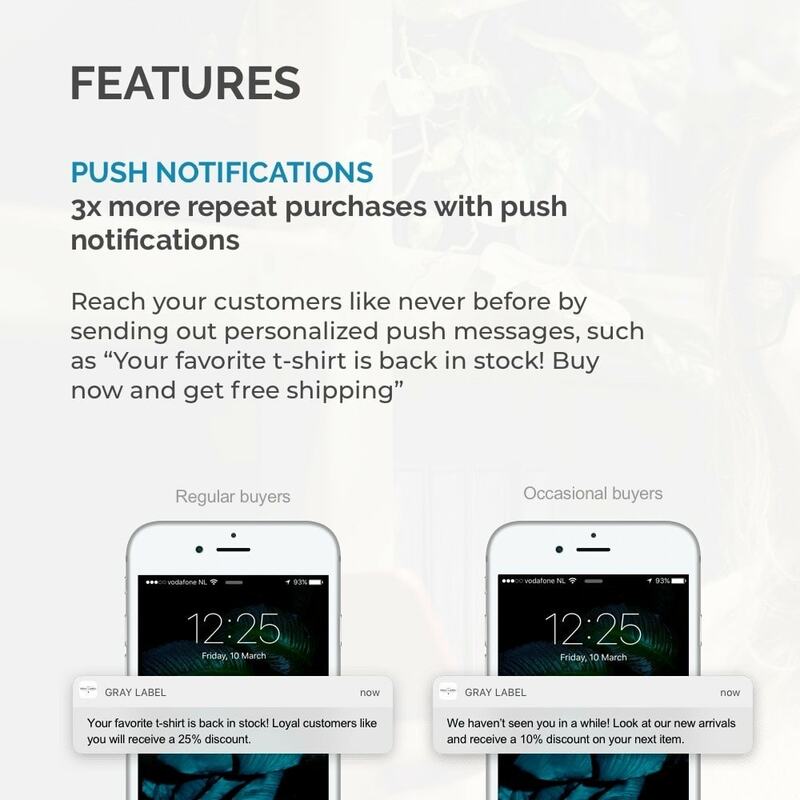 Reach your customers like never before by sending out (segmented) push notifications. Inform your customers about new products, a promotion or simply because they left some products in their shopping cart. No matter how many products you want to sell, your app is ready for it/can handle it. Your preferred payment & shipping methodsThe integration not only syncs all your products, but also connects to your preferred payment & shipping methods. 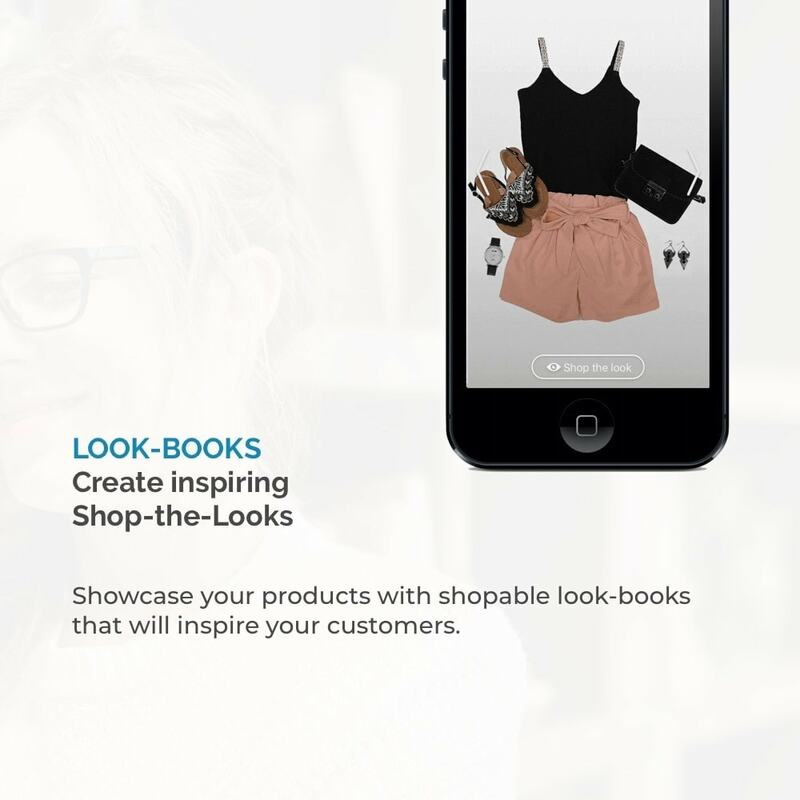 Use our easy drag-and-drop tool to create a shopping app that matches your style. You can upload your own sliders, change the background colors and adjust the layout. 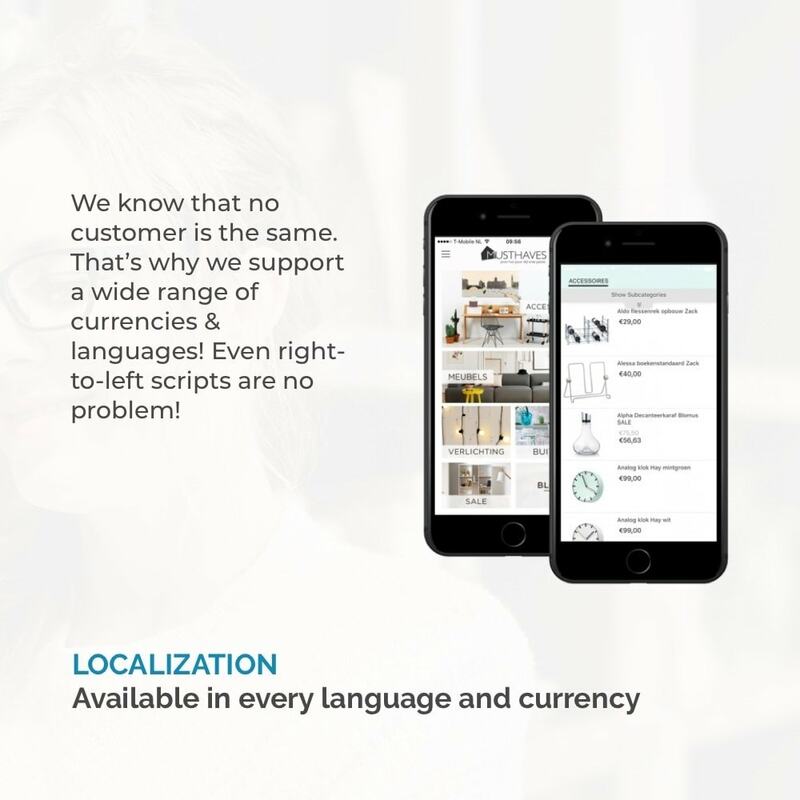 Due to the native experience and full integration with all relevant payment providers, this app offers fast check-outs. Mobile websites depend on an internet connection to present each web-page and are therefore often too slow. 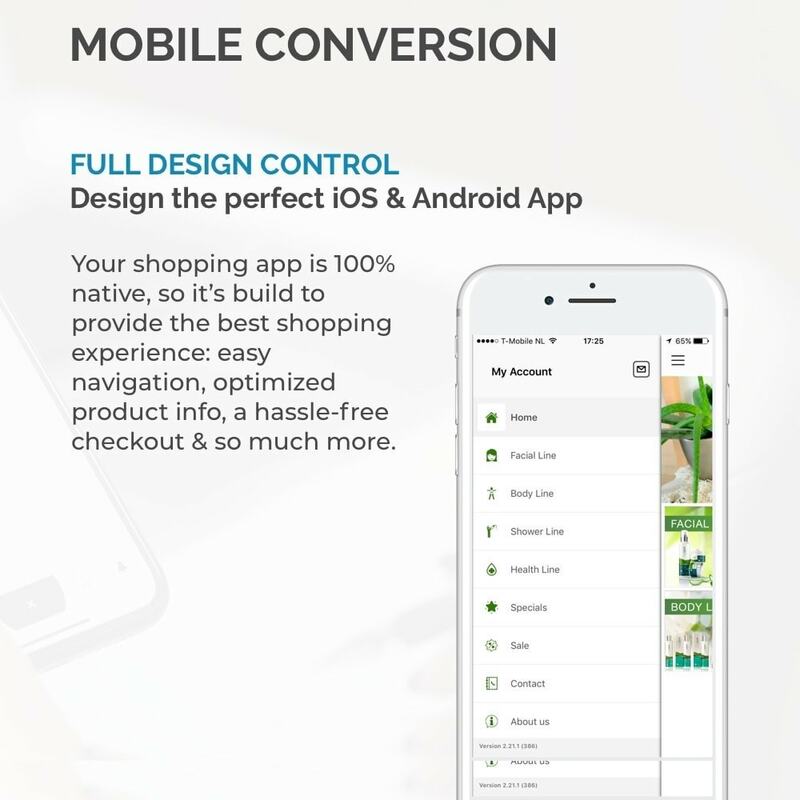 This app is fully native, which makes product browsing faster and easier. User experience is everything. 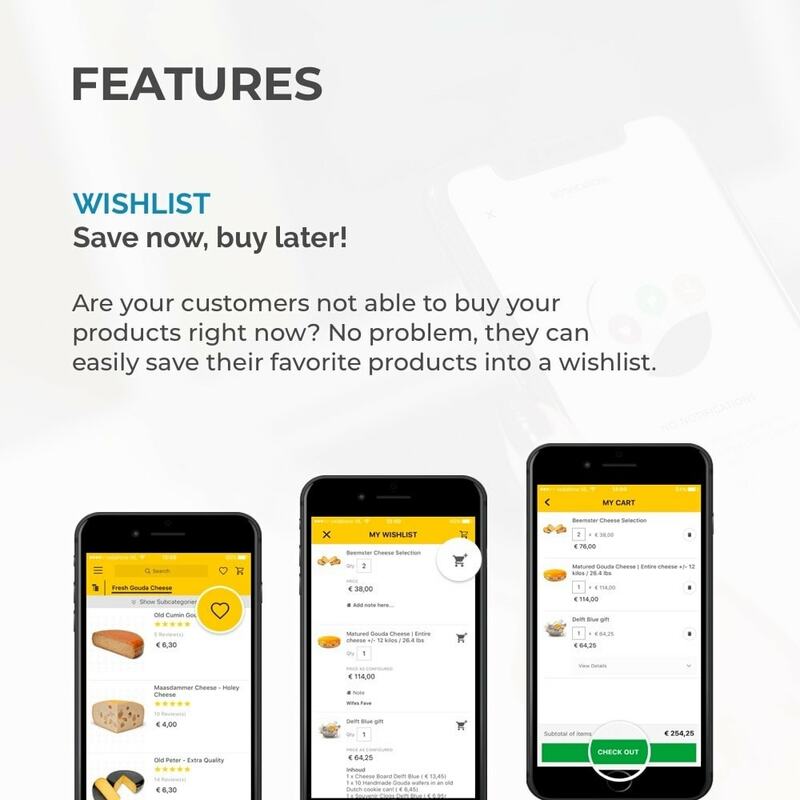 With the app your users can search and filter products any way they want, without any superfluous content. Mobile site users often abandon shopping carts, because they need to fill out information on a tiny screen. Your app will have stored user ID’s, so this is history! With this function you can collect the perfect combination of products in one picture that can be clicked on, so customers can shop the perfect look. 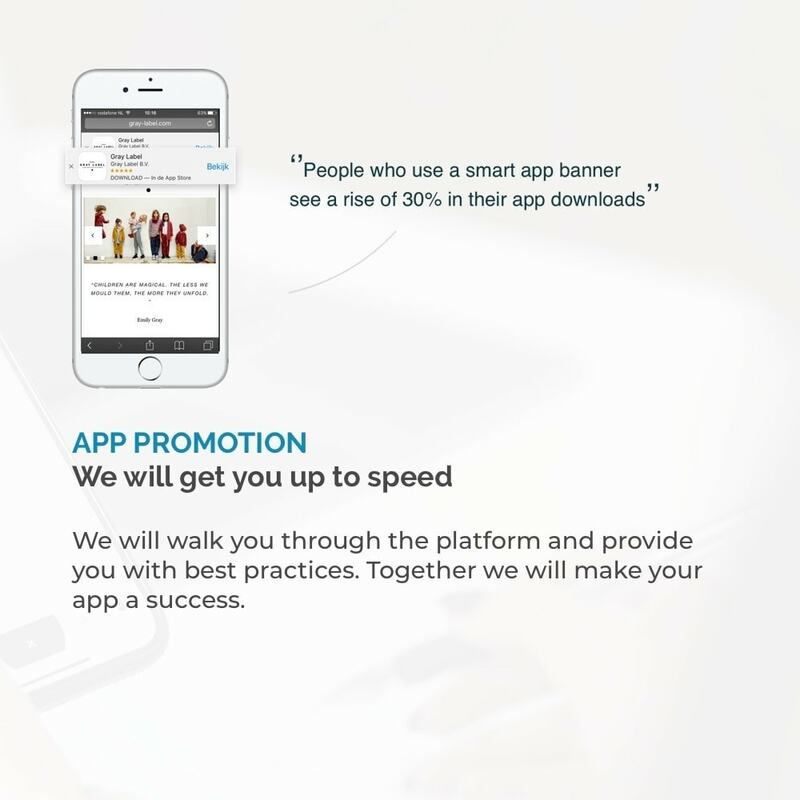 Integrate the App with Google Analytics, so you have 360 degrees insights into your customer’s behavior. Our customer success manager and support team are always standing by to assist you with app marketing or platform questions. Furthermore, we are always improving our platform and developing new features. When we launch our latest updates, your app gets them automatically with no charges or additional fees. What has user experience got to do with conversion rates? Everything. Today's customer have changed. They shop on-the-go using their mobile device. With desktop and a mobile/responsive site alone you risk losing customers to competitors who offer a better mobile shopping experience. Make sure you also adapt to these market developments and offer these customers the best shopping experience available on mobile. The smoother the customers’ experience, the more likely they will come back to your brand. Our apps don’t cut corners when it comes to user experience. 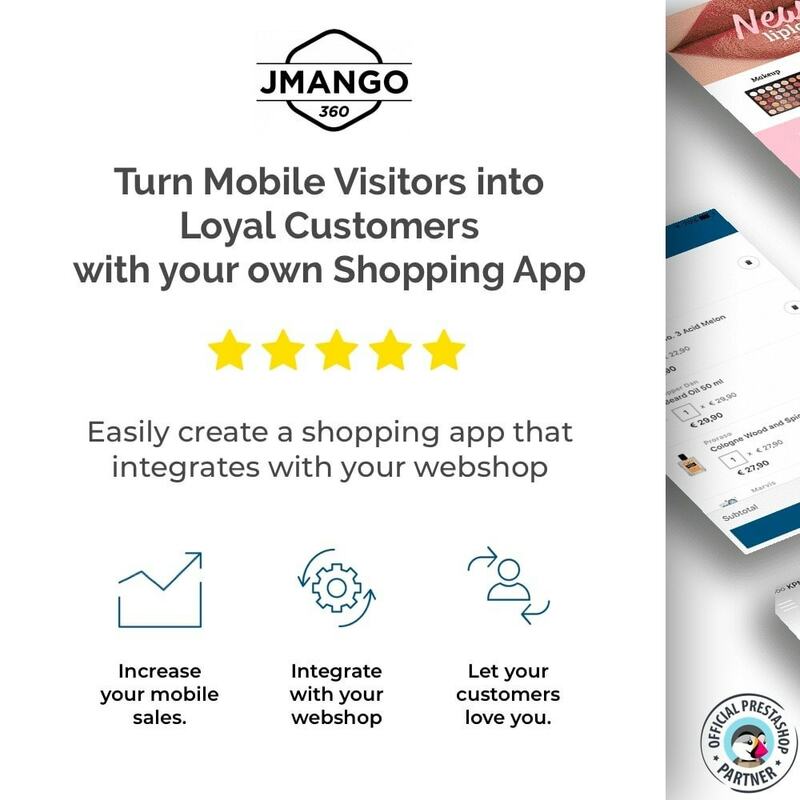 In fact, JMango360 apps have an average rating of 4.8 out of 5 in both the Apple and Google Play store according to the end-users. Not bad, right? "By offering our sneakers fans the best mobile experiences, we've achieved a 300% increase in mobile sales and 187% more returning customers" says JMango360 customer Arno Vink, ecommerce manager Cruyff Classics. 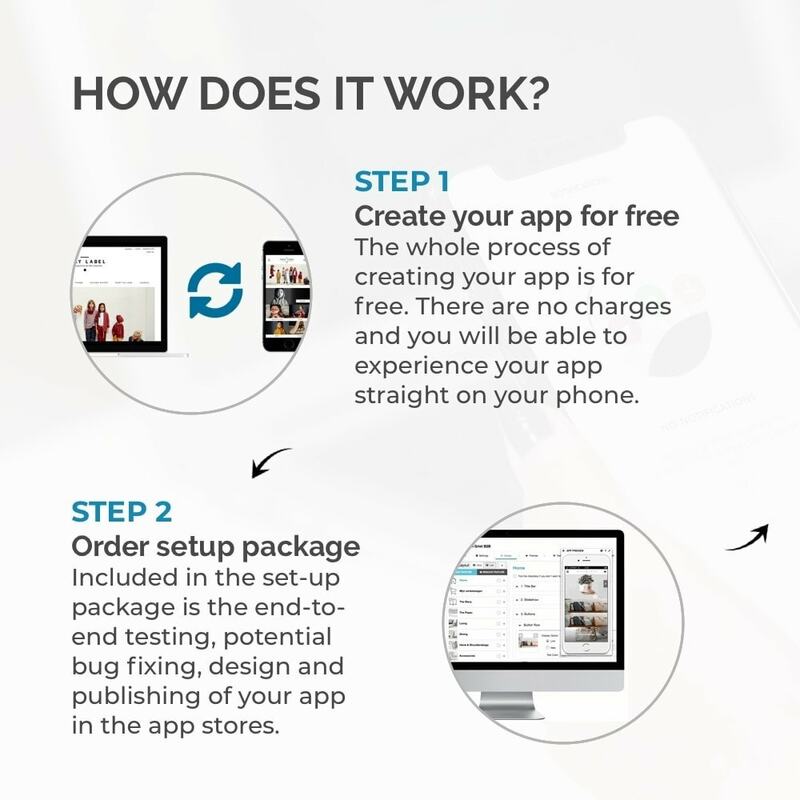 The whole process of creating your app is for free. There are no charges and you will be able to experience your app straight on your phone. Included in the set-up package is the design of your app, end-to-end testing, potential bug fixing and publishing of your app in the app stores. During the feedback round you can point out desired changes to the design of your app. When you are happy with the design of your app, it can be published to the app stores. At that moment you can choose how to pay for the annual subscription. Monthly or per year. 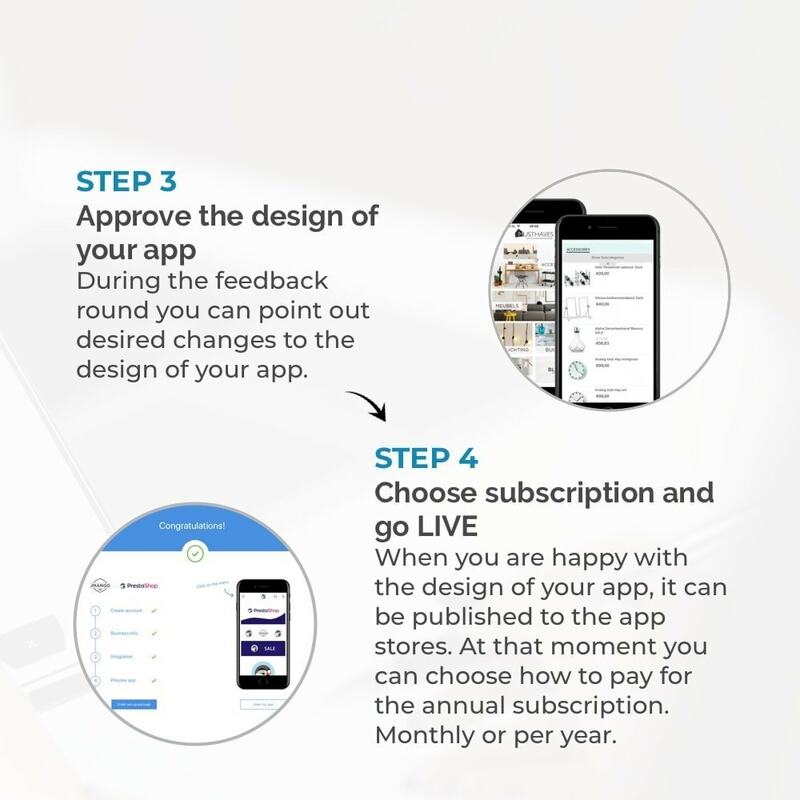 As part of the subscription you will receive your own app success manager, full support and 24/7 access to your own app so you can make adjustments for free as many times you want.